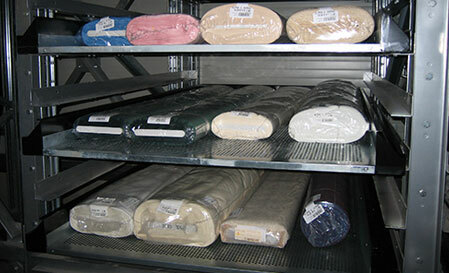 Receiving, storing and final shipping of fabric rolls (coming from multiple external production plants and/or vendors) to final customers; in this case, the Autowarehouse operates as a logistic shipping center for large fabric weavers operations and trading companies. 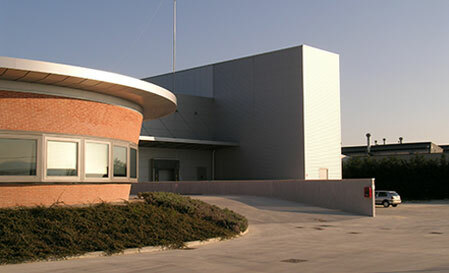 Receiving, storing and distributing fabric rolls (coming from multiple external vendors) to the User’s production lines; in this case, the Autowarehouse operates as a production supply facility for large manufacturers of garments or other finished textile products. 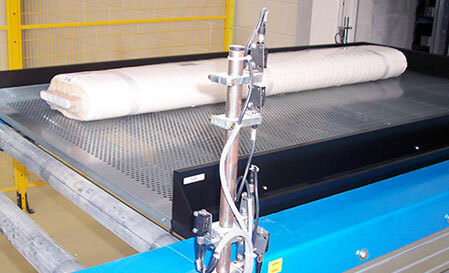 Handling and storage of fabric rolls is a challenging task, since we are dealing with long, cylindrical, and soft objects (rolls may or may not have an inner core). 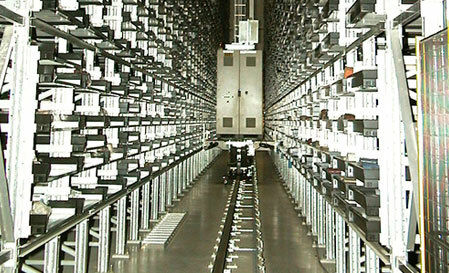 “Classic” solution in which several identical rolls are placed on an internal carrier tray, which is then handled throughout the store-in, store-out and final packing or picking cycles. 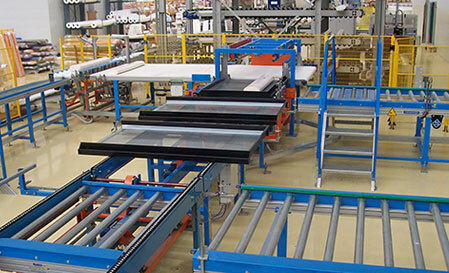 The trays are stored in a shelving system and handled by fast AS/RS Cranes. 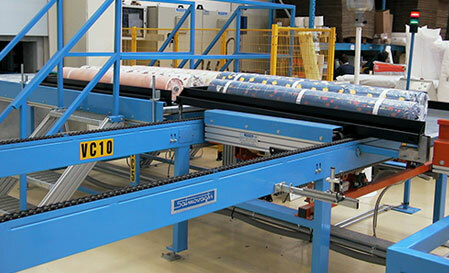 This design is suitable for those cases when we have a moderate number of product codes.